It’s been a busy week in Calgary for cycling. Yesterday I was invited to the Bike to Work Day event, which had great attendance for such a soggy Calgary spring day. Today, I dropped by our new friends at the Alberta Bike Swap to checkout the hundreds of new and used bikes and volunteers who put on yet another great local Calgary event to support the Calgary cycling community at large. 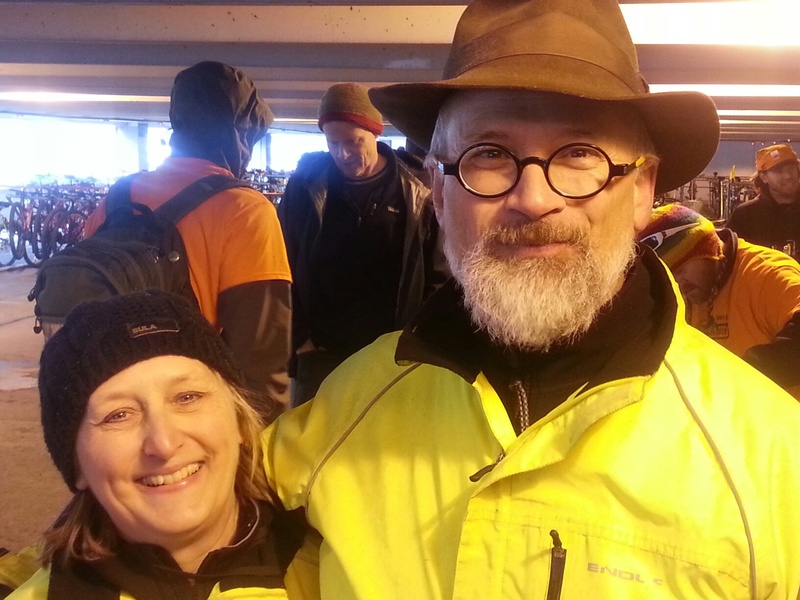 I had the pleasure of meeting Laura and Chris Grant, the brainchild’s behind the annual Alberta Bike Swap event. This is a hugely logistical event that enables those who have a bike that they wish to sell or donate in an ethical and supportive environment. 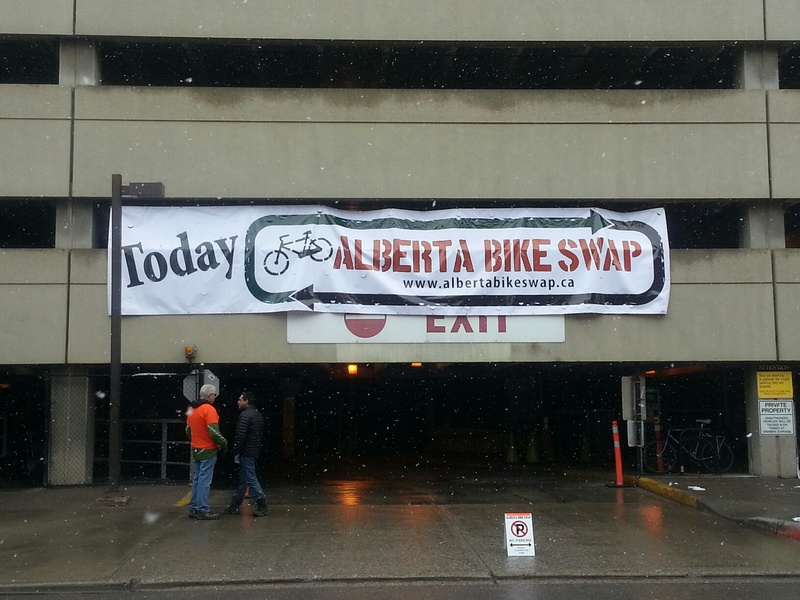 Alberta Bike Swap donate 50% of the revenue back to charitable efforts in Calgary. I love meeting people like Laura and Chris who give back to the community in a way that provides so much value and provides the building blocks for a stronger local cycling community. We are fortunate to have people like them giving back to the community. As always, Laura was “flying the flag” from our good friends at Rogue Clothier and Cyclery, trying to stay warm in yet another soggy Calgary spring day. This was the 4 annual Alberta Bike Swap and from us at Cycles Toussaint, we wish them great and continued success at giving new and used bikes new homes! 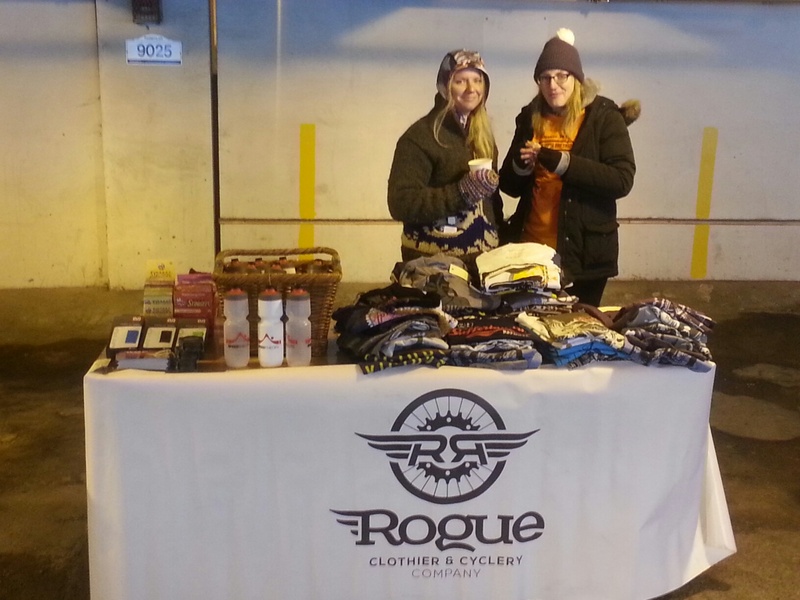 Your friendly Toussaint team Jason and Evan will be at Two Wheel Thursdays with Rogue Clothier and Cycle Company who has teamed up with Commonwealth Bar & Stage to bring you an awesome opportunity to meet your fellow urban cyclists. Two Wheel Thursdays. Stop by Rogue 735 10 Avenue SW, Calgary at 6:00pm, where we will be heading out for a 0:45-1:00h urban bike ride, then heading next door to Commonwealth at 7:00. That have set us up with free entry, $4 PBR and $4 Hi-balls for anyone who went on the bike ride! Come out, ride bikes, drink beer, and get awesome!